An archipelago of over 570 tropical islands, Andaman and Nicobar Islands offer spectacular scenery and pristine beaches with views of crystal clear blue waters. A holiday in Andaman and Nicobar Islands usually includes island-hopping, swimming, camping, trekking, snorkeling, or scuba diving. Sea aquariums, water theme parks, and health resorts provide year-round entertainment for tourists, while marina yachting and inter-island cruise liners provide an opportunity to tour the islands comfortably. In terms of nature, the islands' national parks provide habitats for rare species, such as hornbills, pigeons, and robber crabs. The archipelago, which contains 38 populated islands, still displays the remains of British colonial prisons and historic gallows. 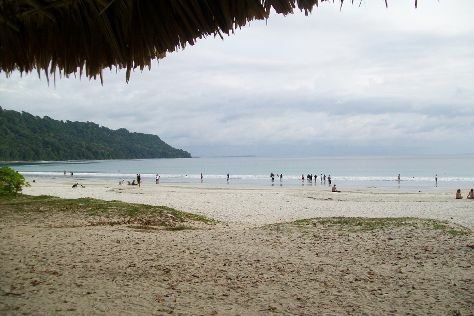 Andaman and Nicobar Islands is in India. Use our India trip itinerary app to arrange the details of your trip to Andaman and Nicobar Islands and other destinations.